The Government have proposed the closure of almost 20% of the courts and tribunals in England and Wales as part of plans to modernise the justice system and bring about quicker and fairer access to justice. As Shailesh Vara, Parliamentary Under-Secretary of State for Courts and Legal Aid, notes in his forward to the consultation, ‘Last year over a third of all courts and tribunals were empty for more than fifty per cent of their available hearing time’ with the courts and tribunals proposed for closure on average being used for only a third of their available time (and in one in three cases for 25% or less). Some reform and rationalisation can thus be seen to be necessary, but examining the consultation on the proposals reveals peculiarities, inconsistencies and allegations of sharp practices. Starting with an overview, the national proposal states that the consultation covers ‘the proposed closure of: 57 magistrates’ courts, 19 county courts, 2 crown courts, 4 tribunal hearing centres’ and ‘9 combined courts’ (and notes that it uses the term court to refer to the building, as technically there is only a single Crown, County and Family Court; it also notes – but does not consult on – plans for the integration (i.e. relocation) of 31 courts within a town or city). The list of courts that follows, however, features six crown courts (two in the South-East (Bury St Edmunds and Chichester), two in the South-West (Barnstable and Dorchester) and two in Wales (Carmarthen and Dolgellau)). This difference may, perhaps, be because of the use of ‘combined courts’. Chichester is a Combined Court – the term generally refers to locations where the crown and county courts are in the same building – as in effect but not name are Carmarthen and Bury St Edmunds but that only addresses part of the discrepancy. There are not, however, nine such courts and if the term was taken to mean where magistrates’ and county coexist then the number would seem to be around twice as high. This confusion bodes ill for the rest of the consultation and confidence is not enhanced when reading early on in the South-East Region consultation that integrating Aylesbury Crown Court within the Magistrates and County Court building would see the ‘centralisation of workload and court hearings in one location in Aylesbury [which] would provide increased flexibility and make better use of the court and tribunal estate’ (p.9) only to see two pages later that the Magistrates’ and County Court is to be closed. Travel times and utilisation are key factors in the proposals. Even after the mass closures, the proposals tell us that over 95% of people will be able to reach their ‘required court’ within an hour by car and there is a ‘commitment’ to provide alternative ways to access court services. There are, however, underlying problems with the travel times, utilisation and alternatives. There are inevitably constraints involved in calculating travel times. The MoJ have calculated travel times from a central point for every 1,000-2,000 people to what they consider to be relevant courts. However, given the allocation of court business, the nearest court may not be the court which hears any given matter. They have also calculated the time assuming the individual arrives at 10am which is perhaps unrealistic and the availability of parking is only rarely mentioned across the detailed proposals but could have a significant impact on both time and accessibility. There is also a matter of a lack of clarity – or disingenuity – in the Impact Assessment. To take the South-East as an example, the assessment shows a fractional increase in travel times to Crown Court within the region (from perhaps just over 65% being within 0-30 minutes to just under 65% – the chart is not that clear). This hides the sub-regional effect. As mentioned above, there are two crown courts in the region slated for closure and one of those, Bury St Edmunds, has ‘not been used for some considerable time’ and so may not have much effect. However, with regard to the other, Chichester, the effect is marked – a 40 percentage point decrease in the number who are within 0-30 minutes by car and a 43 percentage point increase in the number for whom it would take between 1 and 2 hours by public transport (and the percentage differences are even more stark for county, family and magistrates’ business there). Utilisation is clearly a relevant measure. Closing courts which have not been used for significant periods of time – such as the crown courts at Bury St Edmunds, Barnstable or Dolgellau – could well be sensible measures (although a number of courts closed in the last round of closures were unsold three years later incurring on average over £200,000 each month in continued costs). Separated figures for Carmarthen are not given but the overall figure for the Crown and Magistrates is 11%. Of the two remaining Crown Courts, Dorchester ran at approximately 67% and Chichester Combined Crown and County Court at 78% of capacity. Stafford Magistrates, by contrast, was at 16% capacity. It should be noted that these figures are just for the last financial year which does not present a full picture. Indeed, there have been allegations by MPs that HM Courts and Tribunals Service have deliberate set out to lower usage of courts to then warrant their closure, such as at Newbury and, a few years ago, Spalding. There is a worrying vagueness both in the Impact Assessment and in the ‘commitment’ to provide alternative ways to access court services. This blitheness can be illustrated by paragraph 41 of the Impact Assessment which states that falls in activity for businesses near closed courts may be offset by increases for businesses near to the courts to which work is transferred and by another paragraph regarding increased travel for lawyers, the police, etc., which ‘may be offset to some extent by better strategic planning of court activities in fewer and larger court centres meaning that some users may need to make fewer journeys to court’. The fact that there will be, for example, at least one District Council with no courts within their boundary is glossed over. No attention is paid to the civic importance of courts, or being able to see the courts in action. County towns without County Courts may be a sign of the future. This may be mitigated, in some ways at least, by the alternative measures which could bring justice closer to the people. There is mention of using Town Halls or other public buildings (in the proposals) or even, as mentioned by the Lord Chancellor in his appearance before the House of Commons Justice Select Committee, hotels. Such suggestions would, however, carry more weight if there were detailed proposals and a guarantee that they would be implemented alongside the proposals to move court work elsewhere rather than casual allusions and ad hoc arrangements. The proposals will affect legal professionals and the wider public and present a real threat to access to justice. It is inevitable that some courts will close but there is a very real risk of judicial deserts, particularly if the alternatives are not considered in detail at the same time. Local people are best placed to comment on local issues but may need to be encouraged to do so. When Spalding Magistrates was closed in an isolated closure a few year ago, only five members of the public commented on the consultation (along with 37 lawyers and politicians). There is a short period of time to question the MoJ’s reasoning on the proposals but they certainly seem to need to be subjected to scrutiny. 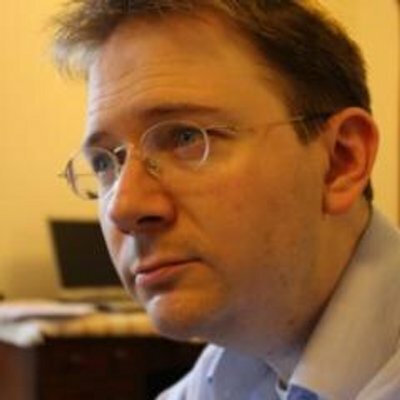 James Hand is an Associate Senior Lecturer at the University of Portsmouth. This entry was posted on July 23, 2015 by Constitutional Law Group in Constitutional reform, England, Judiciary, Wales.